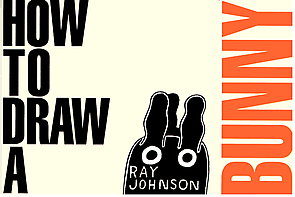 John Walter and Andrew Moore’s critically acclaimed film, How To Draw A Bunny, delves into the ever-eccentric, unquestionably enigmatic world of Ray Johnson. Billed as a "Pop Art mystery movie," How to Draw a Bunny launches into the investigation of the puzzling circumstances surrounding Johnson's suicide on Friday January 13, 1995 that left both his closest admirers as well as the general public baffled, wondering about the role of "performance" in his life and in relation to his death. From Detroit to Black Mountain College to the streets of New York, How to Draw a Bunny works at the intervals, collaging together the identity of a unique artist who contributed mightily but often in an oblique manner to the explosion of Pop. According to Judith Hoffberg of Artscene, the film “conveys how the work of the reclusive Johnson was ahead of its time in terms of both its conceptual approach and challenge to the commercial and critical establishment.” Johnson drew together the past and the present, people from all walks of life — dead and alive — and synthesized materials from text, to found objects, to textiles, into collages packed densely with subtle humor, rich pop iconography, and endless allusions to his own wider circle as a never-ending riff on contemporary culture. After his mysterious death in 1995, Frances Beatty of Richard L. Feigen & Co. began combing the archives in the Locust Valley home where Johnson horded collages, working materials, books, magazine articles, as well as thousands of letters and fragments of mail art compiled over the previous three decades. While undertaking this endeavor, Beatty curated a memorial exhibition of works borrowed from Johnson’s friends. 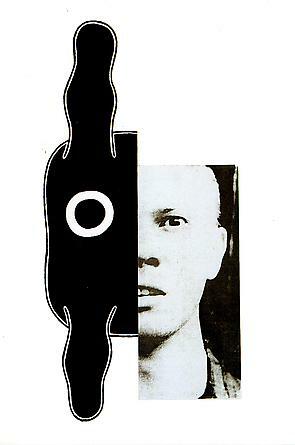 Soon thereafter, Walter and Moore, who had never met Johnson but became increasingly intrigued by the artist, began conducting an extensive series of interviews and compiled photographs, works of art, home movies, and video to formulate an eloquent, fast-paced narrative that flows like a Jazz ensemble and exposes a tantalizing view of Johnson’s polyvalent life. As the investigating police chief said, “Everyone has a story about Ray Johnson. But no one had the whole story.” Commentary from acclaimed artists Christo, James Rosenquist, and Chuck Close as well as literary titan Morton Janklow encapsulates Ray’s multiple personas and his life’s work, which were inextricably intertwined. Mr. Mudd presents a Moticos Motion Pictures and Elevator Pictures production. Made possible by The Richard L. Feigen Gallery, The Ray Johnson Estate, The Judith Rothschild Foundation, and The Cissy Patterson Foundation. "A coherent statement of mystery at the beginning and a resolution of that mystery at the end don't make up for the general repetition and tedium in between." "Cumulatively [Johnson's] collages, letters and performances — and his legend — compose a self-portrait of striking wryness and complexity." "One of the pleasures in Walter's documentary ... is the parade of veteran painters, confounded dealers, and miscellaneous bohos who expound upon the subject's mysterious personality without ever explaining him." "One look at Johnson's life and legacy is enough to convince even skeptical critics that Johnson's name will echo with those of Andy Warhol, Roy Lichtenstein and other luminaries of the pop-art revolution."